2015 was a bit of a weird year for me photographically. Due in part to a big move, continuing illness, and a major research project for Rockefeller State Park Preserve, I definitely got out in the field significantly less than the last few years. Yet, there was no shortage of images that I was really happy with to choose from when it came time to pick my favorites. So without further ado, here are my favorites (not necessarily my best, but the two overlap quite a bit) from 2015 (somewhat in order). I would say that this is my most successful night image to date, in terms of the image coming out exactly as I envisioned, with few if any technical flaws. And it was a lot of fun (and work) making it, both in the field and on the computer. 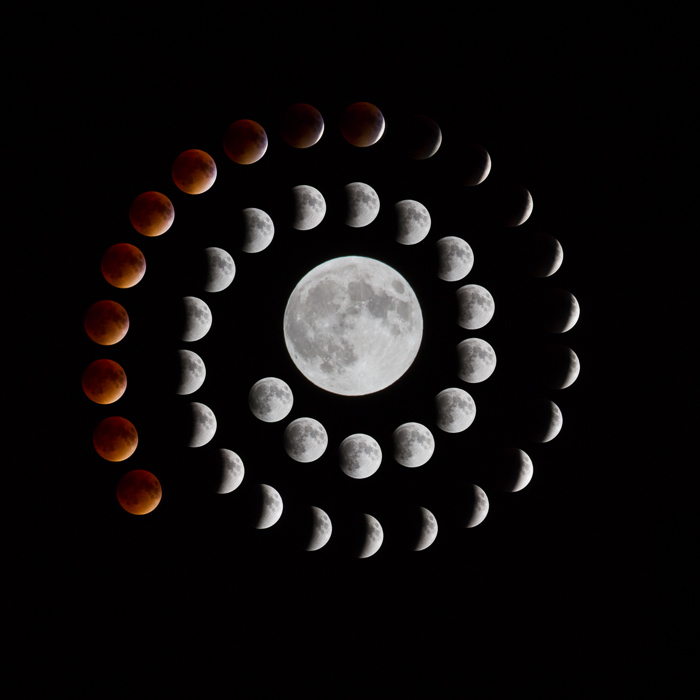 Another successful night image from this year was this composite of the Super Moon full eclipse, which I ended up photographing somewhat on a whim. A bigger telephoto, clearer skies, and perhaps a trip to a region with less light pollution might have been beneficial, but I'm pretty pleased with the results. Looking at this image now, I think I enlarged the central full moon image too much and I'll go back and tweak it, but still rather happy with the concept and execution. 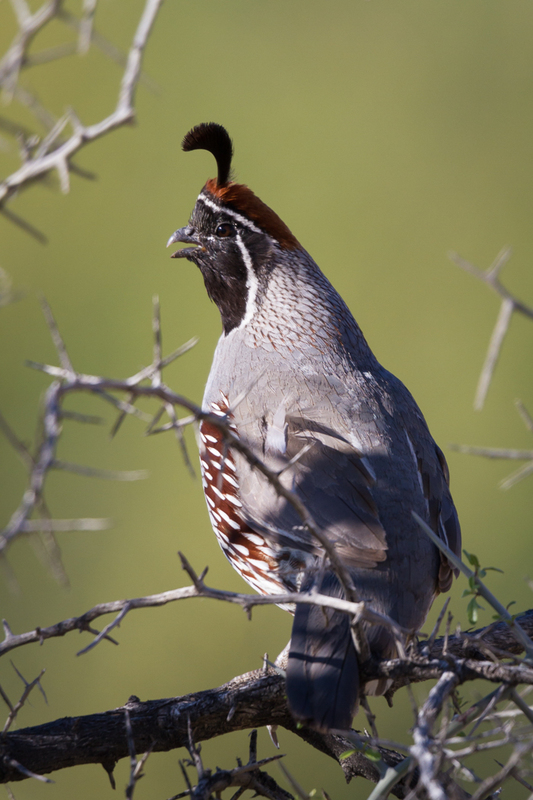 When I visited Tucson, AZ this spring and realized there was a resident flock of Gambel's Quail near our casita, this became a "must get" shot for me. Of course, once I resolved to photograph them, the quail suddenly became a lot more scarce and shy of the car. But bringing a borrowed telephoto when I went on a grocery run, near the end of our stay, paid off and this individual sat calling in a tree while I photographed him from the car window. A great intimate moment with a great and charismatic bird. 4. 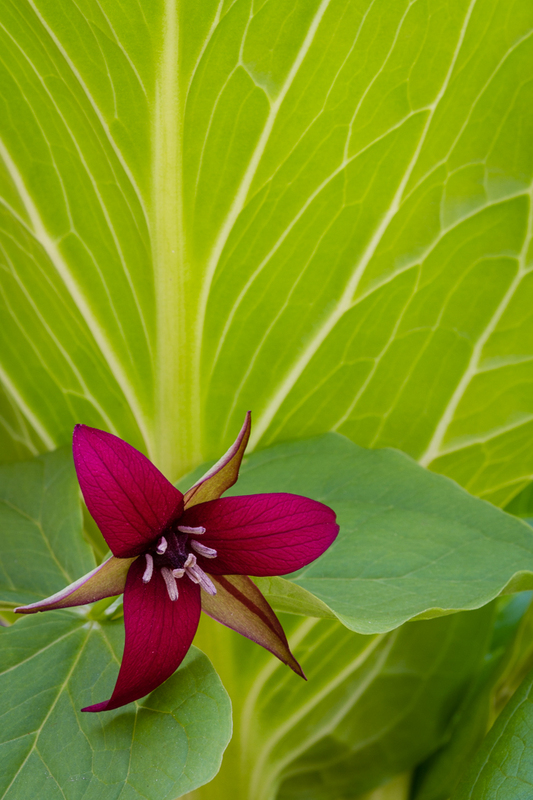 "Red Trillium and Skunk Cabbage"
When I lived down in Virginia, the only trillium I could find was large-flowered, so when I moved to New York I was very pleased to find a nice patch of red trillium at my local nature preserve this spring. I'm not sure I've gotten my definitive (black background) "portrait" yet for my long-term project, but I was really happy with this more natural composition. Composing against the adjacent skunk cabbage leaf allowed me to get the flower sharp while eliminating a jumbled background. It also shows a habitat affinity between the two species. This is an image I've wanted to capture for a while, but until now I never seemed to have the luck. Either I saw only hens, or they were too far away, or moved away too quickly. 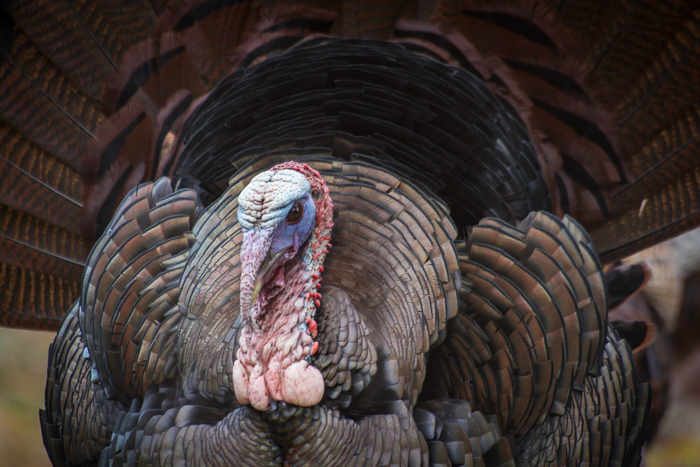 But at last, here was a large flock of wild turkey with several displaying toms at Shawme Crowell State Forest on Cape Cod and they seemed to be fairly tolerant of human presence. 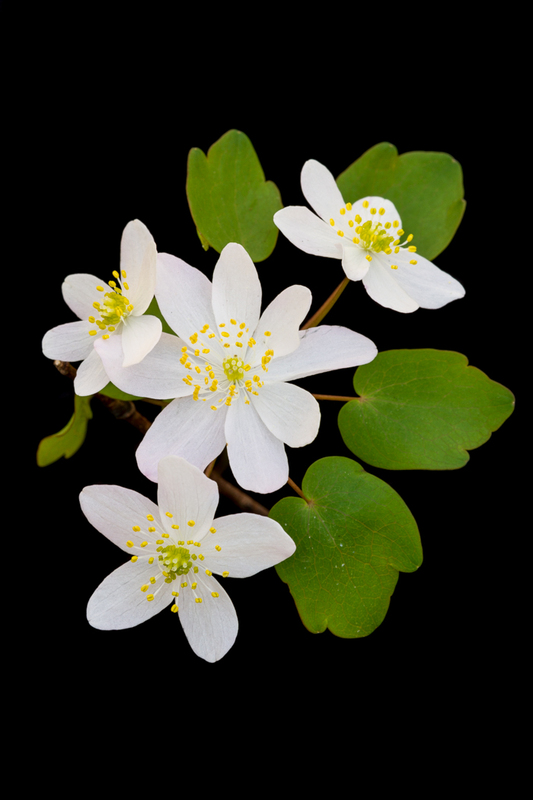 One of the spring ephemeral wildflowers that I've been trying to document for my plant portrait project. However, I've either encountered odd plants that didn't make a good composition or (mostly) persistent breezes that make it near impossible to get a sharp image without cranking up the ISO. This year I found lots of anemone in a sheltered brook valley in Rockefeller State Park Preserve and it was easy to come away with not one, but two portraits that I'm really pleased with. This year didn't begin very well for me. We went up to see my parents for Christmas, and the evening we arrived, my father ended up going to the hospital in an ambulance. He never made it home again. In between visits to the hospital, an ice storm hit my parents farm and I had an opportunity to blow off some steam by photographing the ice covered world around the farm. 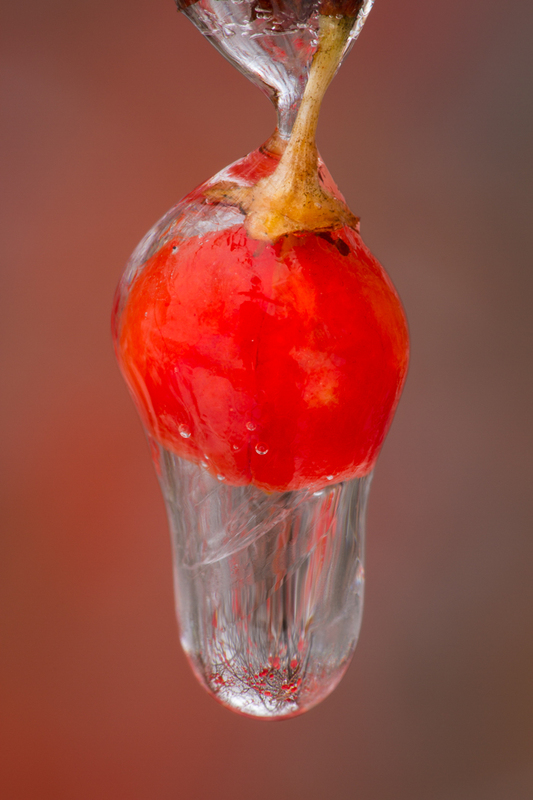 I got a few great shots of iced vegetation and bittersweet berries, but this is one I haven't shared before. I wasn't sure how much I liked the framing on this one, but on later inspection, the framing is decent and the scene of laden berry branches captured in the water droplet is just spectacular. The main berry and the berries in the background also make for a very colorful scene, full of a warmth that really wasn't present. 8. 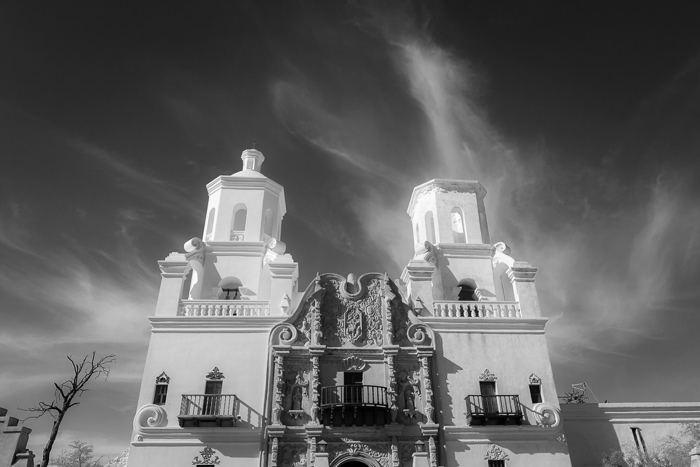 "Mission San Xavier del Bac"
This one is a favorite because it was a fun image to make and process and because it is not a normal image for me. I generally don't do much in the way of architectural or travel/vacation/cultural photography, so it was fun to get out of my comfort zone for this image. I love the wispy cloud formation that formed right over the mission and I was lucky to be there at the right time to capture it. A faux infrared treatment really made the mission and the clouds pop and brought out an ethereal quality. 9. 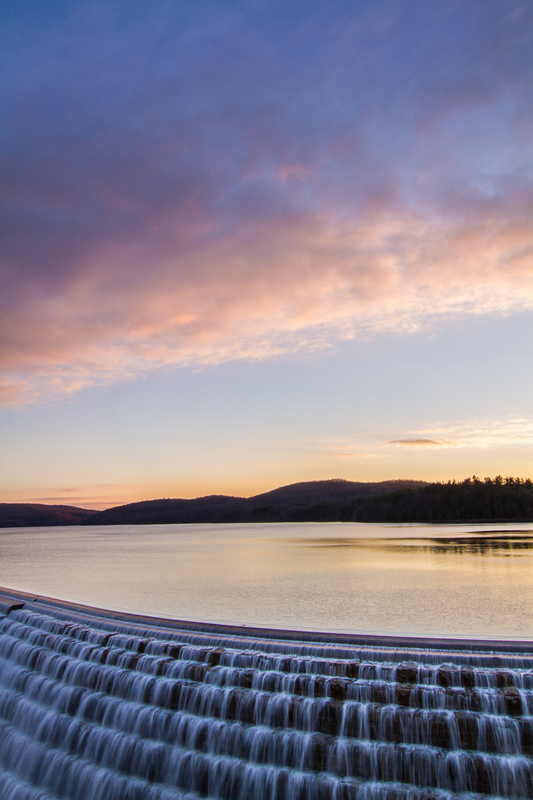 "New Croton Dam Sunrise"
I include this image, which I haven't shared in any other form yet, because this is such a spectacular location near my new home. I can still feel the ache in my hand from holding the graduated neutral density filter in front of my lens. I couldn't use gloves because my camera was poking out through the bars of the bridge over the spillway. If my gloved hands had fumbled the filter, it would have dropped ~50 feet into a torrent of water, never to be seen again. I'm positive I haven't exhausted the possibilities for this location. The sunrise on this particular morning was okay, but not spectacular, and the wind kept the surface of the reservoir from fully reflecting the colors in the sky. I'll be back to hope for better conditions and to try out different lens/framing combinations. 10. "Heart Of The Forest"
This was just such a spectacular phenomenon of light, that I had to include it. 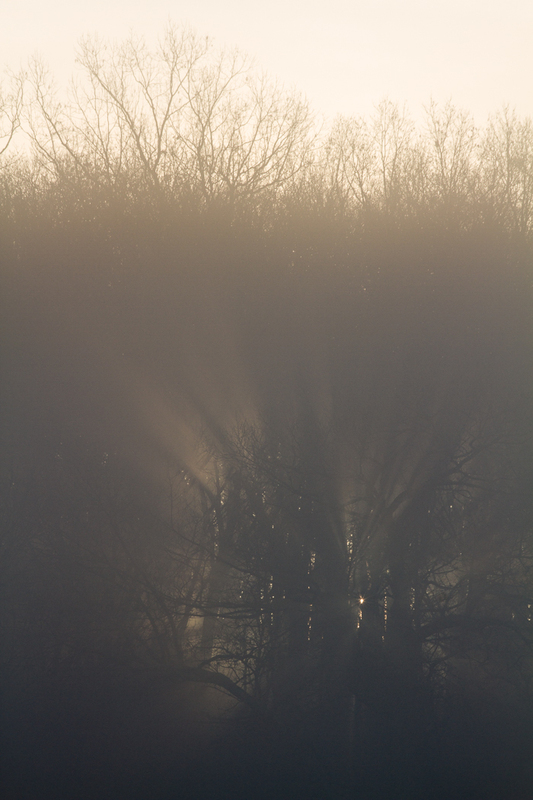 While I might wish for a little more interest in the sky or the tree line at the top of the photo, the rising sun penetrating through the forest and the fog has such a mysterious and fairy tale feel to it that I keep coming back to this image visually. It tells a story and transcends its subject matter. Magical! I really like the graphic nature of this image. 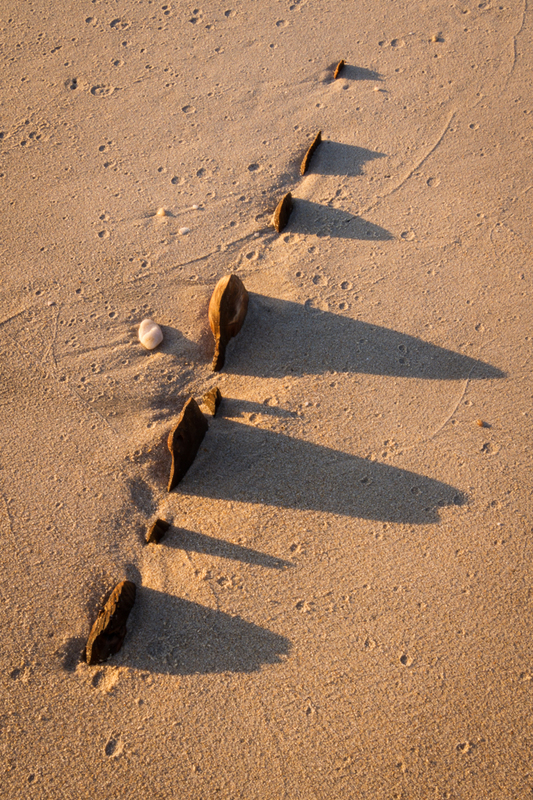 The aerial perspective combined with the very early morning side light creating long shadows creates an almost abstract quality. This image also tells an environmental story, with the remains of the picket fence reduced to nubs by the constant erosion of the waves. 12. "New Croton Dam Spillway"
From the same morning as #9 above. 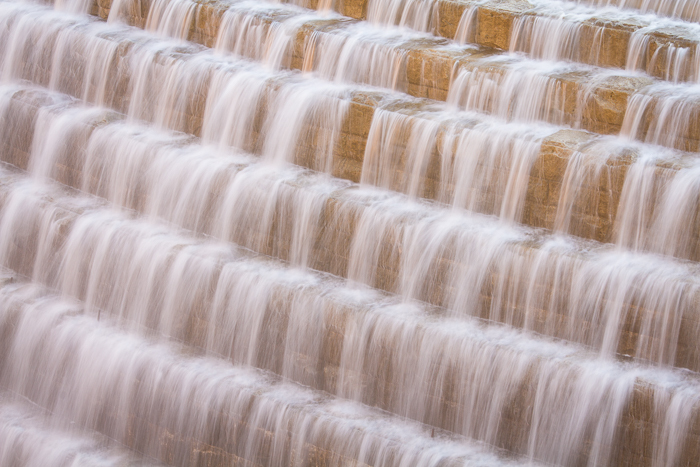 Sunrise light, plus water, plus very graphic terraced sandstone blocks equals magic. Even though I'm not going by month, I'm going to wrap this up with 12 images. It was a hard choice and there were many more contenders, but less is more for blog posts. Please explore the blog to see more of my 2015 images (and a few more will be posted in the new year I'm sure). Happy New Year everyone! Here's to another year filled with growth, learning, adventure, and hopefully lots more photography. Really great selections, Elijah! 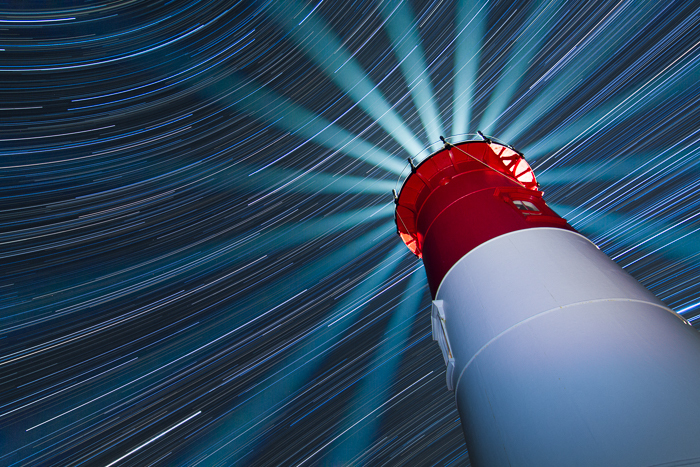 The "Timey Wimey" lighthouse is spectacular! I really like the trillium as well, the veined pattern in the background leaf is such an interesting contrast. I'm very sorry to hear about your father -- all the best to you and your family in the new year.